Though I’ve stayed in a number of Hyatt properties worldwide (fast becoming a favourite! 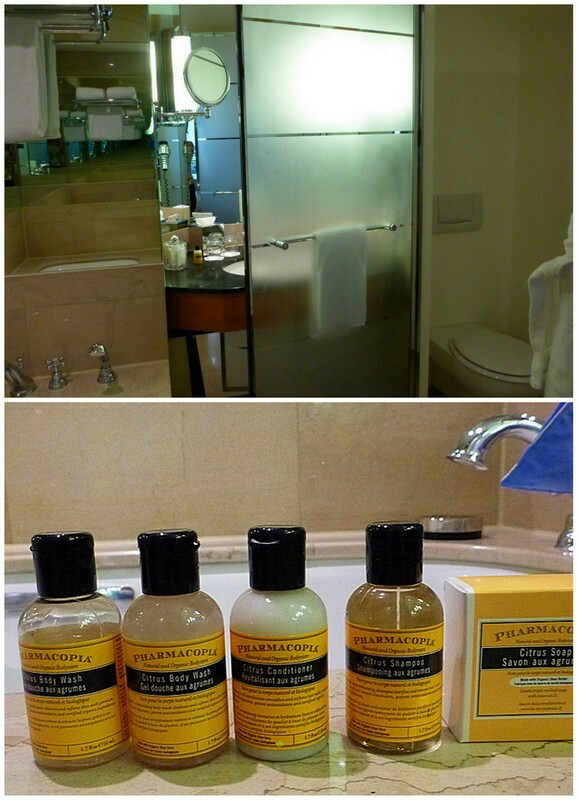 ), this was my first Hyatt boutique hotel experience. I was excited and had an open mind before arriving. The location of Hyatt Paris Madeleine is a prime example that a property can have the best of both worlds: history and shopping. 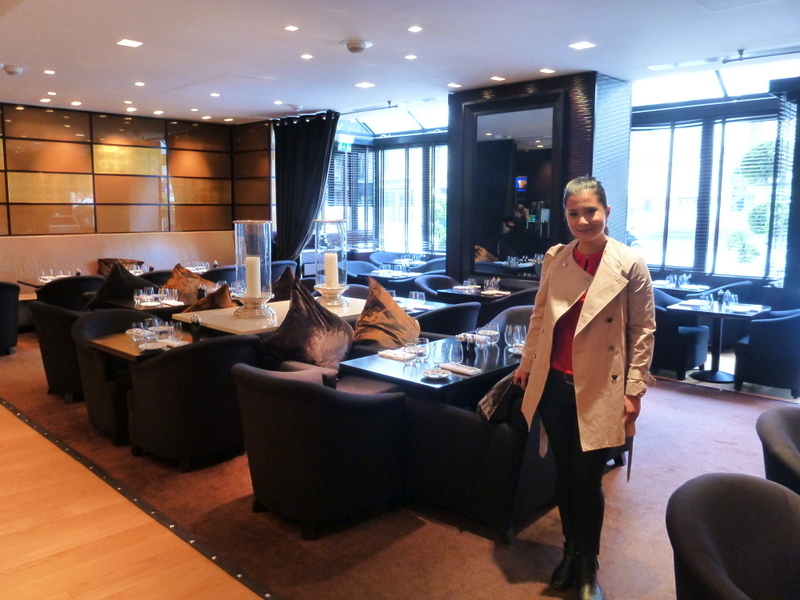 It is located along the very Parisian Boulevard Malesherbes. This is very close to French haute couture, fashion and jewellery shops along the famous streets Faubourg Saint-Honoré and Rue Royale. At the same time, it is also within walking distance of the iconic attractions of the city such as Paris Opéra Garnier, Place de la Madeleine, Place de la Concorde, the River Seine, the Louvre and the Champs-Elysées. Lots of natural light, tall ceilings, and quite spacious with rooms enough for my giant bag (I am not the lightest packer ehem.) If I were a business traveller, I would love to be in this room. It has that low-key luxurious feel to it. Nothing too fancy or distracting. But the quiet elegance of it is calming. I loved that the worktable was away from the TV and beside the window with natural lighting. True enough, I was able to do a lot of work on Holy Smithereens that evening. Very conducive setting. The bathroom can be a little tight, and it is small in size compared to the size of the room. However with clever mirroring and partitions, it is not too obvious. It has all three essentials – a bathtub, a separate shower and toilet area. Toiletries are from the organic bodycare line Pharmacopia. I’m not a huge fan of citrus-y scents but these ones, I didn’t mind at all! The citrus scent is very soft and natural. Zombie definitely enjoyed his bath with the toiletries. He is a huge fan of citrus-y scents, and I tend to bring my own set of toiletries. So he is the ultimate hotel toiletry tester 🙂 And he says that Hyatt Madeleine Paris has made a good choice. I love the layout of the sitting/reading area of the lobby. First, the glass ceiling is a good touch as it gives more height and space the area, and the something about the black motiff that isn’t overly done is nice. Breakfast area is located nearby. Not an overly huge buffet selection but you can order ala carte. It was here that I also noticed that majority of the guests of Hyatt Madeleine Paris are business travellers and adult pairs. It does make sense as again, with the room layout and overall feel of the hotel, I will again say that it is ideal for the business traveller who wants to be comfortable on all accounts. Now THIS. This is my favourite part of the hotel! 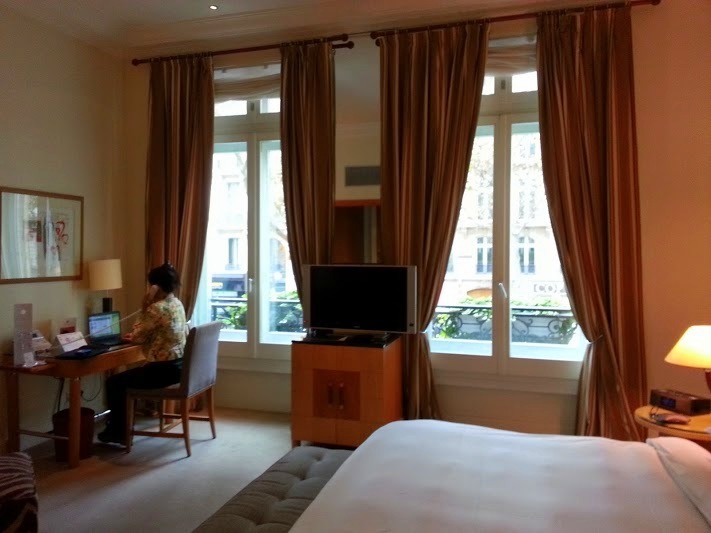 Not only is the Hyatt Madeleine Paris a 5-stay luxury boutique hotel. It’s also very committed to preserve biodiversity. They have chosen the UNAF ( Union National des Apiculteurs de France) to build a strong eco-friendly partnership. 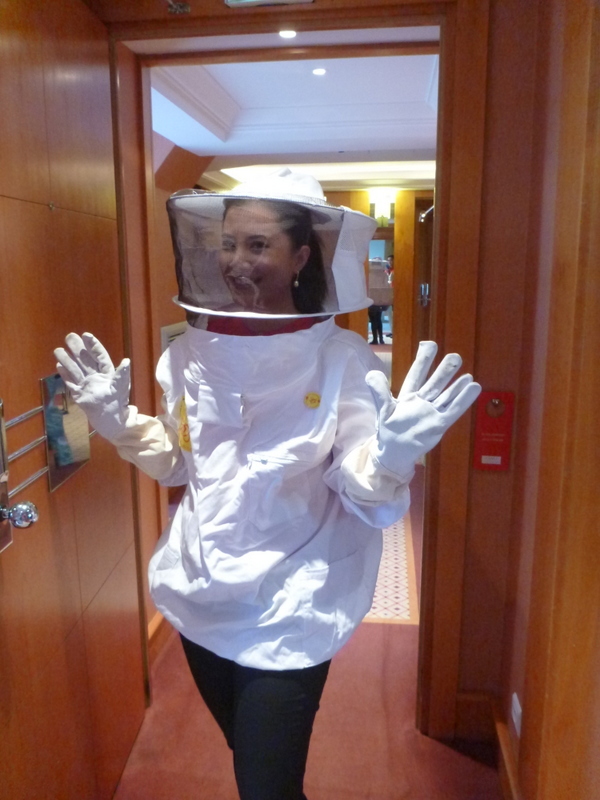 General Manager of Hyatt Madeleine Paris Gianluca Priori personally showed and explained to us their Bee initiative. Many hotels say they support the global conservation. But by what? Asking the guests to re-use their towels if possible please, and put them on the floor if they want a replacement? GM Gianluca Priori passionately explained that while it is good effort, it is simply not enough. And I whole-heartedly agree! 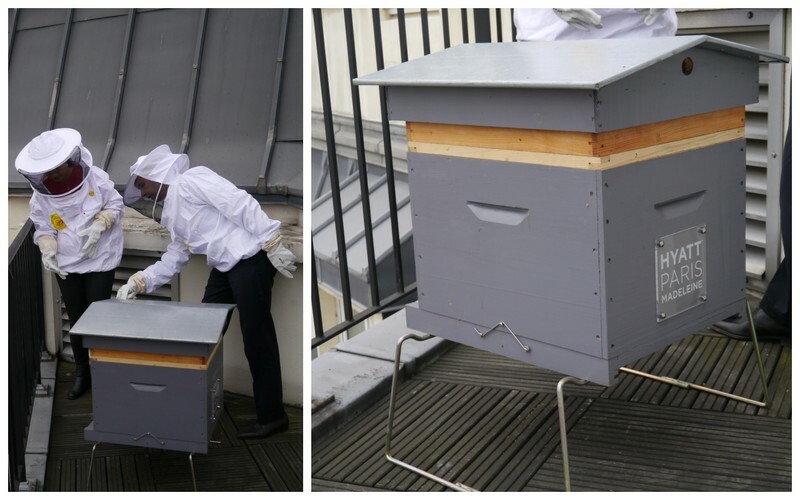 So Hyatt Madeleine Paris took the initiative to set up their very own bee hive at the hotel’s rooftop. By producing their own honey, they help the survival of bees because most bees perish in local farms from pesticides. This initiative has started in September of 2013, and guests can now have a serving of the hotel’s very own honey. 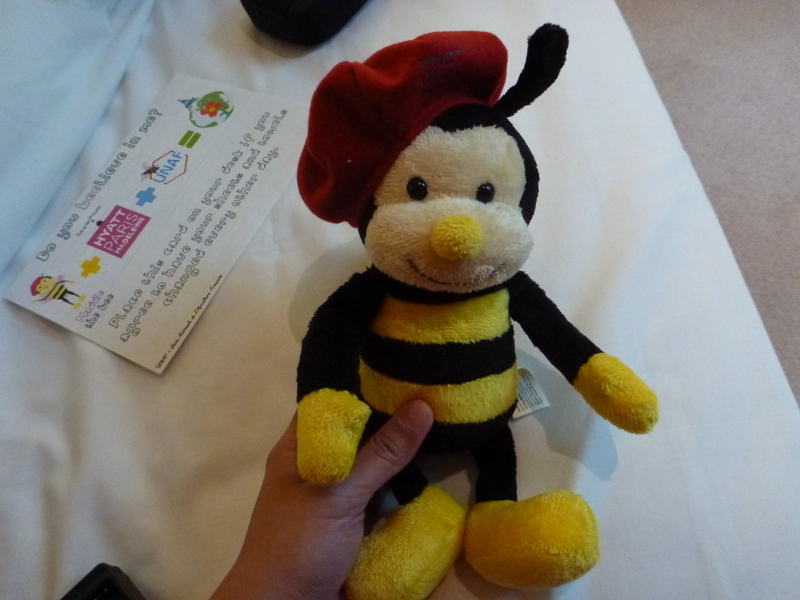 I was also given Maddie the Bee, their very own ‘mascot’ for this clever Bee initiative. A luxury boutique hotel that cares for the bees, and with an adorable mascot too? What’s not to love about this property? 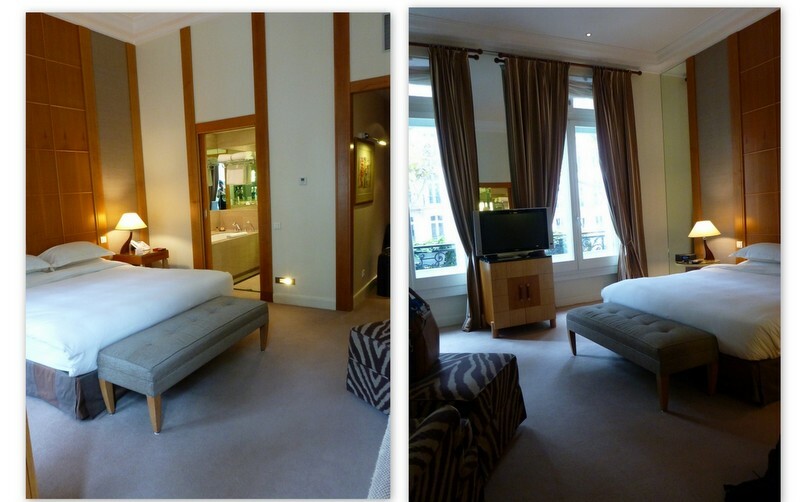 I loved my stay a the Hyatt Madeleine Paris. The quiet and low-key luxurious ambiance is perfect for those who love luxury yet don’t want over the top furnishings and decor. The location is also ideal. Close to shopping and historical spots but not being in the centre of noisy touristy areas. I would love to see their bee initiative grow and yes, I will stay here once more. 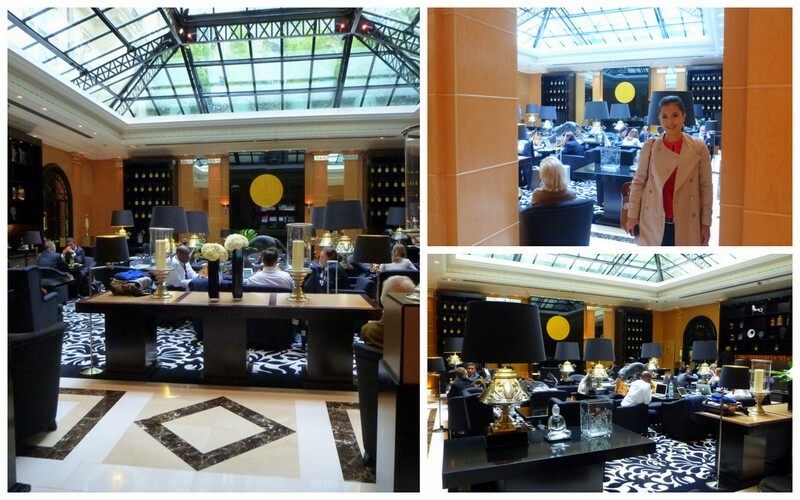 We were guests of Hyatt Madeleine Paris. However this has not influenced my thoughts and views about the brand and property. All opinions of this blog post are my own.